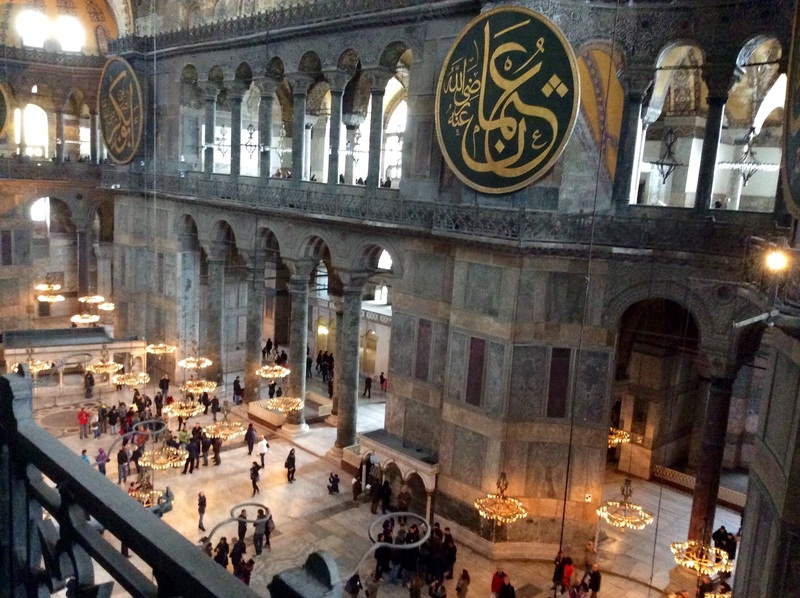 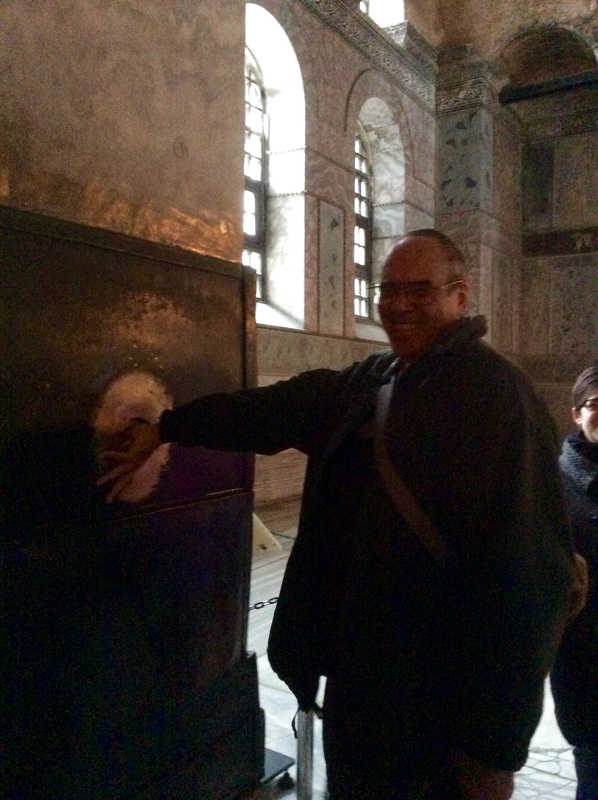 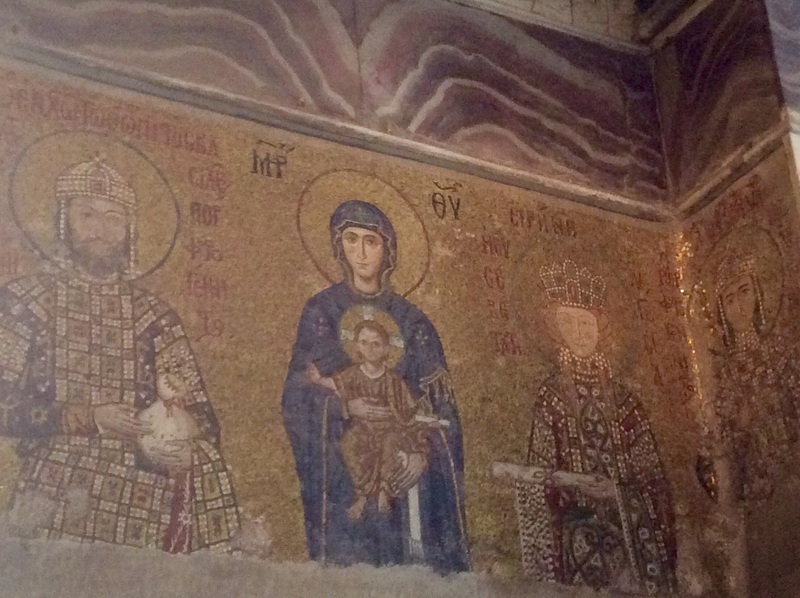 Today we visited the Hagia Sophia, which started out as Emperor Constantine’s church in the 300s, was burned down and rebuilt by Justinian in the 500s, then was converted to a mosque in the 1400s, was closed when it began to seriously deteriorate, and was reopened as a museum in the 1930s as part of the secularization and westernization of Turkey under Attaturk. 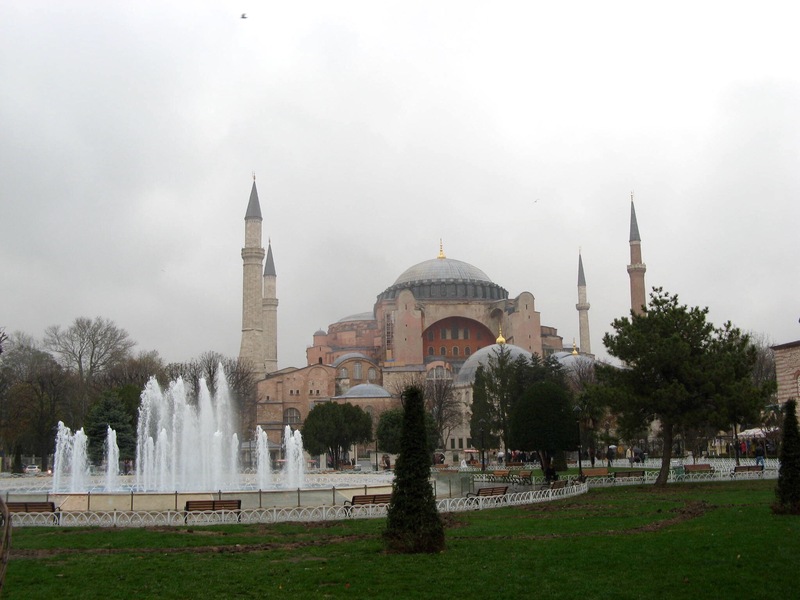 It shares a square with the Blue Mosque. 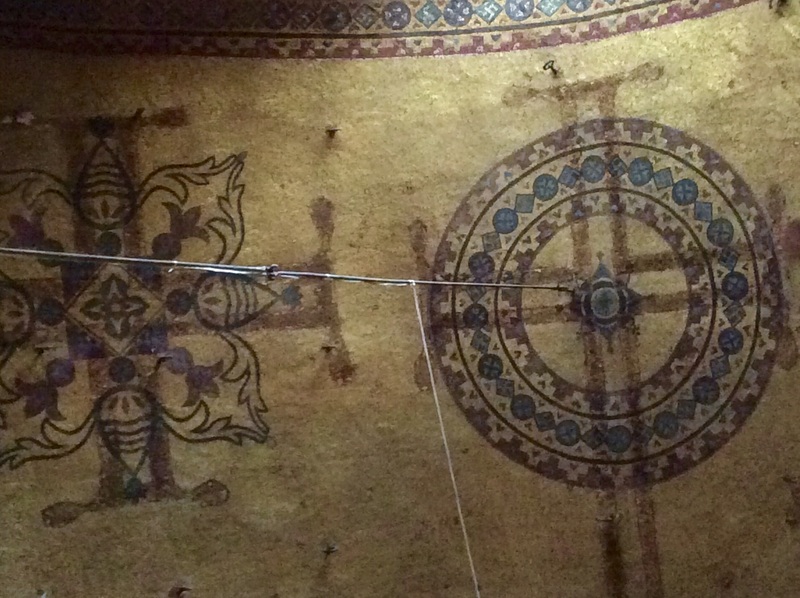 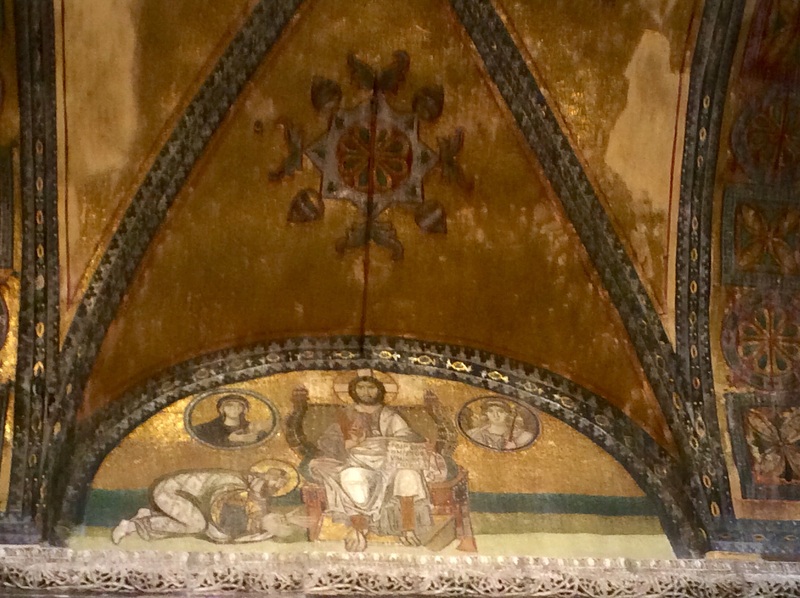 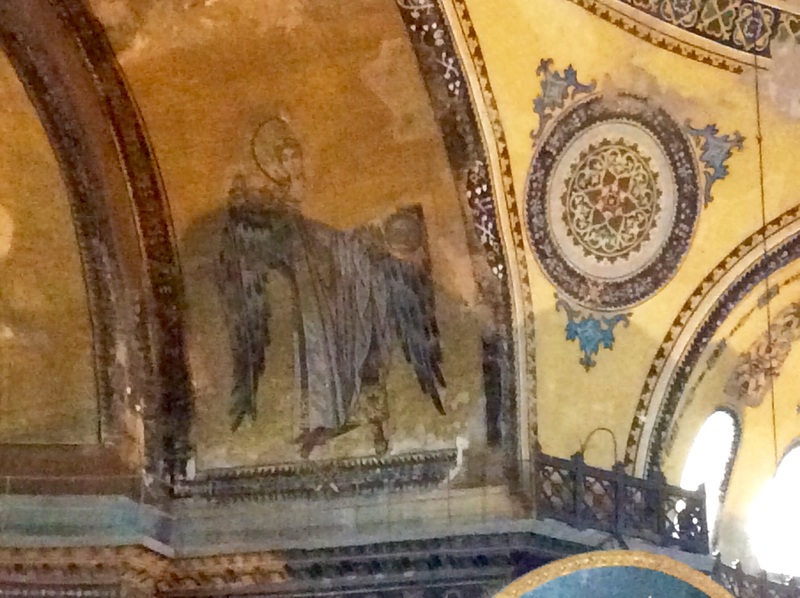 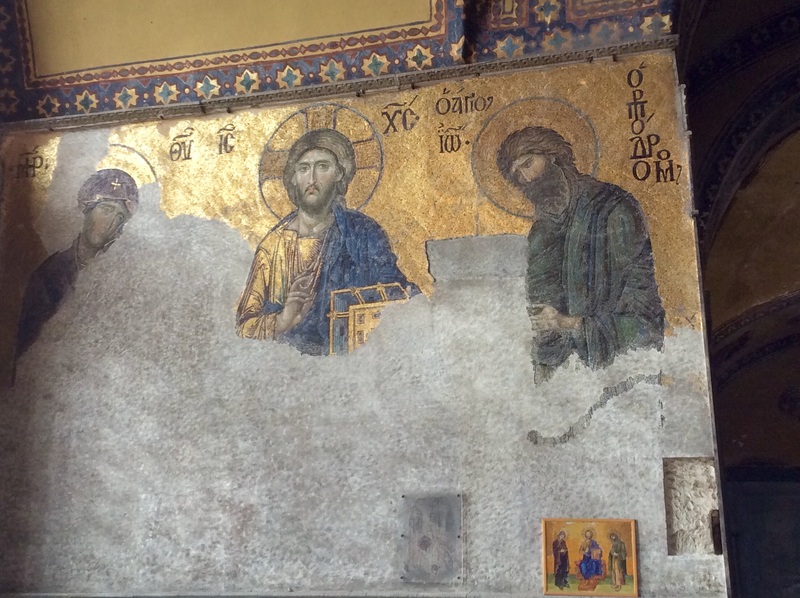 In the process of restoration, some of the original Christian frescoes were uncovered. 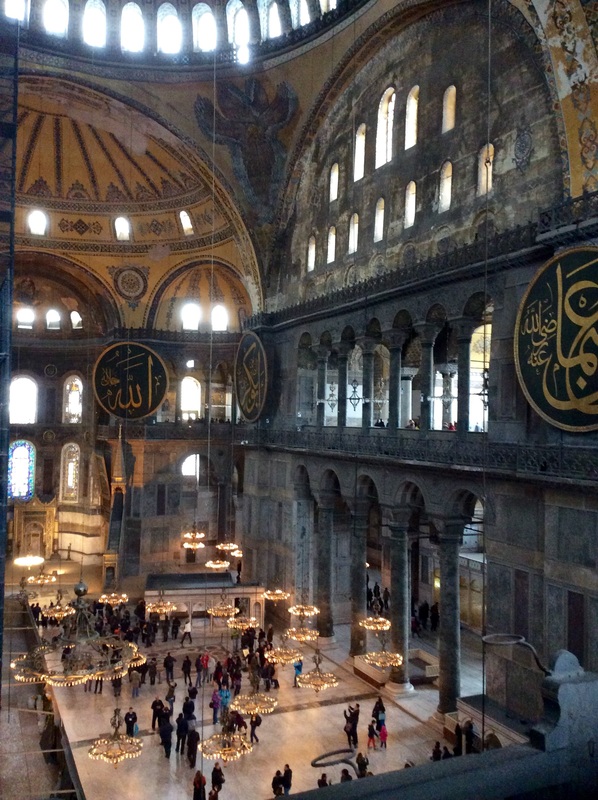 It’s so neat to see the juxtaposition of two cultures. 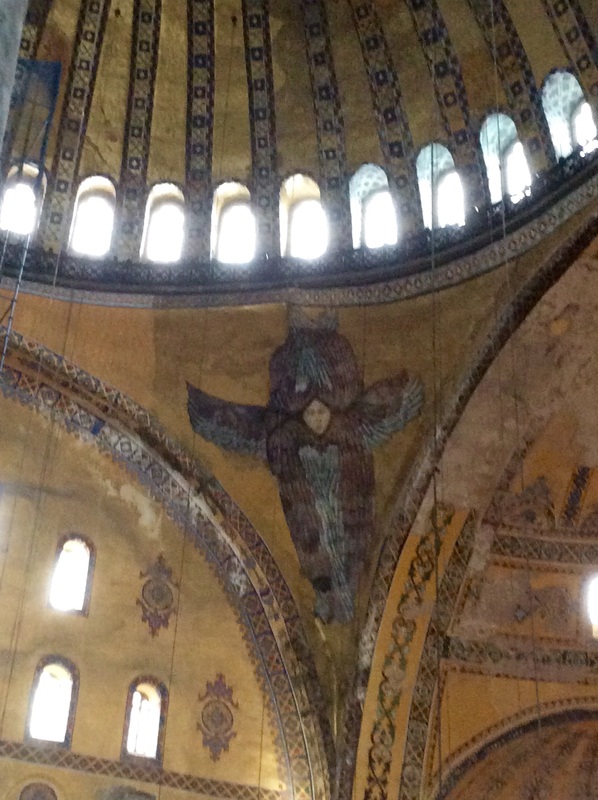 Here you can see where the cross images were covered over with abstract patterns. 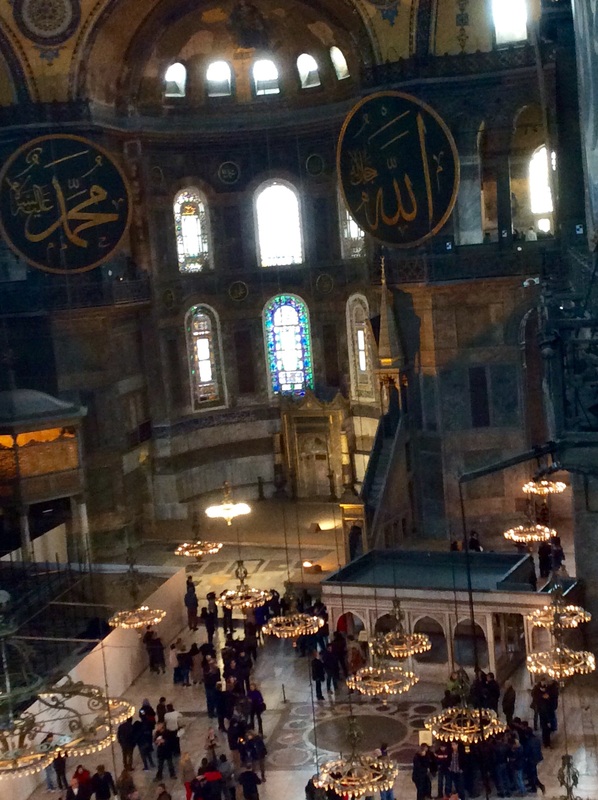 The view from the upper gallery was magnificent.